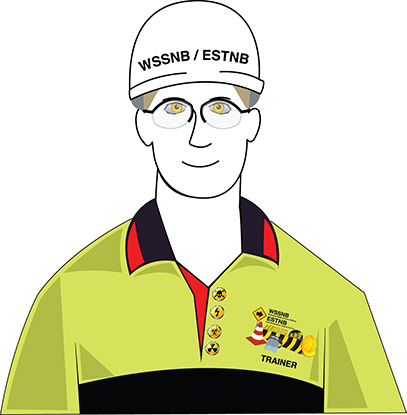 I offer a variety of training modules and have gained many years of experience by working in industrial safety positions. I am very familiar with the challenges you face on a day-to-day basis and I am a seasoned trainer. My results are measurable: reduced accidents and incidents, as well as reduced safety violations are some of the benefits yielded by my services. Whatever your needs are, WSSNB has the expertise to develop customized health and safety training programs. I cut to the chase so your personnel can recommence operations sooner. Workplace Safety School of NB Inc. is recognize by WorkSafe NB. In addition, I am ready to deliver the below-mentioned training programs on or off site to your managers, supervisors, safety representatives, Joint Health and Safety Committee members and employees. WSSNB services the Maritimes in both official languages. I combine theory with hands-on practice and, upon successful completion of the course, participants receive a certificate and a wallet certification card. My philosophy is to apply continuous outstanding customer service and to uphold the best quality training possible so as to ensure that workplaces remain incident and accident free.